(Australian Associated Press) - Australia’s free-trade deal with Indonesia was meant to be signed before Christmas but a delay means the deal probably won’t be ratified until after the next election. Any deal that gets signed has to spend at least five parliamentary weeks being scrutinised, but there are unlikely to be enough sitting weeks before next year’s election. In a speech to be given to the Australia Indonesia Business Council in Surfers Paradise on Tuesday, Labor’s shadow assistant treasurer Andrew Leigh will say economic connections between the countries must deepen soon. 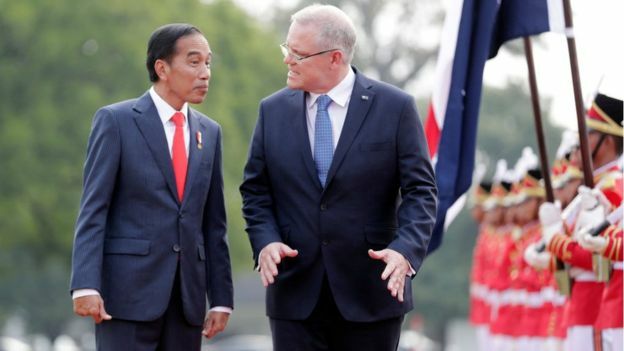 The free-trade deal was meant to be a step in that direction, but it appears to be on hold as Indonesia is angry about Australia’s potential move of an embassy to Jerusalem. "The intention was the trade ministers would be able to deal with that by the end of the year, but there’s no hurry," Mr Morrison told Bloomberg. "Australia doesn’t conflate these issues." "As soon as possible, after the text has been finalised - consistent with processes both in Indonesia and Australia - we would expect it to be finalised in it’s ultimate form."